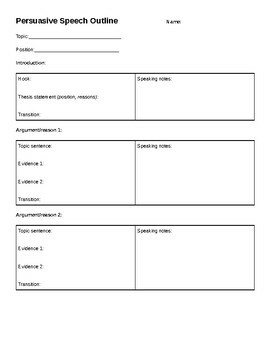 Here is a simple outline to help students write a persuasive speech. 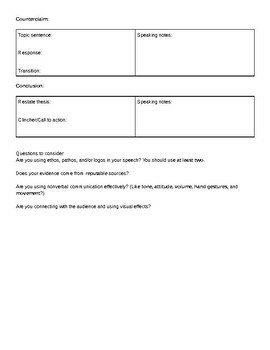 It include some thoughtful questions on the back, to help students remember to include various persuasive techniques. It's a straightforward resource that makes it easy for any student to outline a persuasive speech effectively. Check out my other English/Language Arts resources!